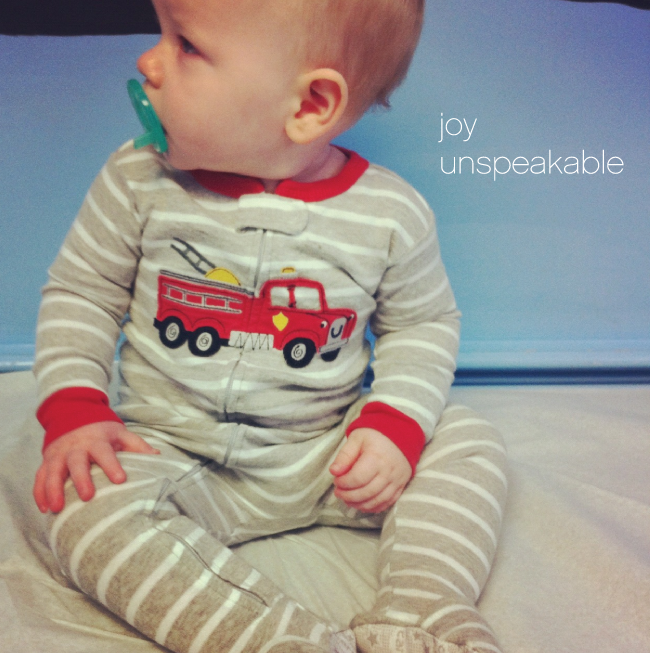 That’s you, little boy – indescribable, uncontainable. I’ve never felt closer to God than I did when I became your Mama. I feel this awesome responsibility to raise you as His gift to us. I read something really beautiful last night on Pinterest. It brought tears to my eyes and I wanted to write every one of those words on the palms of my hands so that I wouldn’t forget to say them to you. Right now, you need me to hold your hand as we walk around the house together. Sometimes you pull it away as if to say, “I can do it Mommy.” And I want to put your little hand in mine so I can make sure you don’t fall down, but I know you need to learn to do it all by yourself. This is the first of many moments like this, isn’t it, B… where I step back to let you grow. Oh you make me so proud and you’re only one. I can’t imagine how much more love my heart can hold. I hope when you’re making the big life decisions – I hope you remember these words… you can do it all by yourself. Listen to God and follow your heart. As long as you keep Him there, He will guide you down the right path when you come to a fork in the road… when you make the big decisions. I hope you feel better soon, little B. I’m loving all the snuggles and hugs I’m getting though : ) Two of your little buddies have RSV also, so we’re saying lots of prayers for our friends. PS: Letters to Bman has a new home… right here. I’m working on pulling the older posts over so B can one day find them in one place.